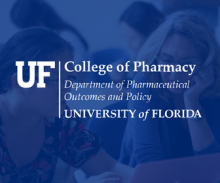 Research activities in the UF College of Pharmacy span the entire life cycle of a drug and include broad interest areas such as medicinal chemistry, pharmaceutics, pharmacology, clinical and translational research, and pharmaceutical outcomes and policy. Led by award-winning faculty, whose discoveries are significantly impacting the lives of patients around the world, the college achieved $14.8 million in total research funding in 2017 (source: AACP). 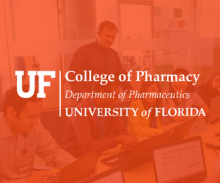 The American Association of Colleges of Pharmacy ranks UF among the Top 10 pharmacy colleges nationally in federal grant funding. 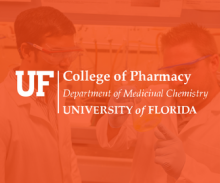 With the addition of preeminence faculty and the collective talents of world-class researchers that have provided the foundation for research excellence in the college for many years, the UF College of Pharmacy has enjoyed 74 percent growth in research funding in the last five years. Over 100 future pharmaceutical scientists receive training from more than 50 graduate faculty in the college’s comprehensive graduate education program in pharmaceutical sciences. College of Pharmacy Ph.D. students have the opportunity to participate in cutting-edge research through study in five areas: medicinal chemistry, pharmaceutics, pharmacodynamics, clinical pharmaceutical sciences and pharmaceutical outcomes and policy. Our graduates contribute to advancing pharmaceutical sciences through positions in academia, industry and government agencies such as the FDA. Numerous research opportunities are available to Pharm.D. students who have an interest in working with faculty in the college. Students involved with research in the college are competitive for postgraduate opportunities, including residencies and fellowships. 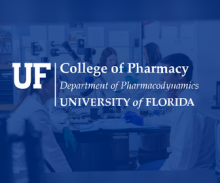 The UF College of Pharmacy annually hosts a student research day in the spring to showcase the research talents of students. The college has five research departments, highly successful in attracting extramural research support, that are an integral part of University of Florida Health. 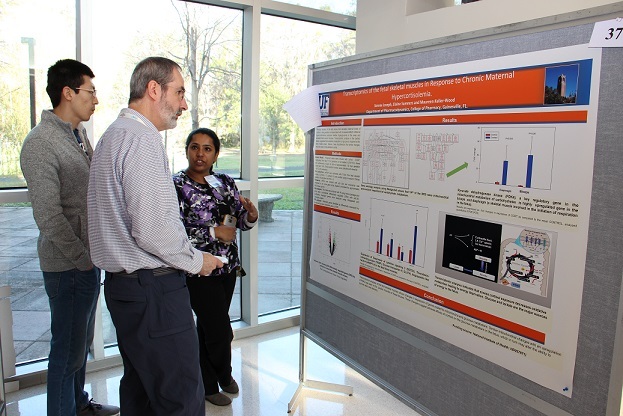 In addition to teaching, faculty members conduct collaborative research projects with clinical and other basic scientists within the Health Science Center or other colleges on campus. Many serve on editorial boards for scientific journals and maintain collaborative ties with scientists worldwide. Medicinal chemistry focuses on all aspects of drug design, discovery and development with a unique blend of the physical and biological sciences. The scope of the field is sufficiently broad to give students with many different science backgrounds a rewarding and challenging program of study. Areas of research interests include drug discovery, organic synthesis of medicinal agents, natural products chemistry, prodrugs, topical drug delivery, peptide chemistry, molecular modeling, drug metabolism and molecular toxicology. 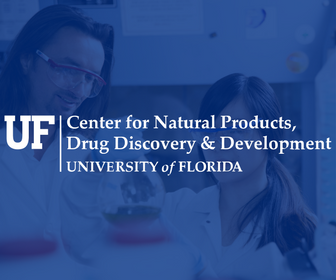 In addition, UF’s Preeminence initiative has supported the hiring of several world-class researchers into the department and an expansion in areas that include natural products, cancer, anti-infectives, drug abuse and pain research. The department of pharmaceutical outcomes and policy is a unique blend of social and administrative pharmacy, health outcomes research, pharmacoeconomics and pharmacoepidemiology. Researchers in the department focus on the evaluation of drugs and related medical technology. This focus includes classic pharmacoepidemiologic and pharmacoeconomic work in areas such as drug safety and comparative effectiveness, economic evaluation of pharmaceuticals, pharmaceutical predictive analytics and pharmaceutical health services research, including assessments of pharmaceutical policy, quality and patient safety research. The department possesses a state-of-the-art data center fully qualified for quantitative research involving multiple research database with personal health information for 260 million lives. Research in the department of pharmaceutics encompasses basic, applied, and clinical investigations in pharmacokinetics/biopharmaceutics, pharmaceutical analysis, pharmaceutical biotechnology and drug delivery. 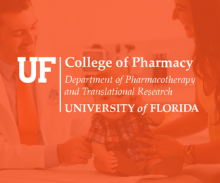 In addition to teaching, all faculty members are involved in collaborative research projects with clinical and other basic scientists at the University of Florida or UF Health. Many faculty maintain collaborative ties with scientists at other universities and the pharmaceutical industry worldwide. 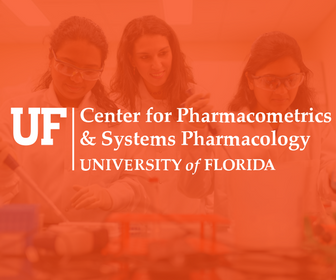 The department is also home to the UF Center for Pharmacometrics and Systems Pharmacology, a rigorous and integrative academic translational science program in quantitative clinical pharmacology with a focus on personalized medicine that is located at the UF Research and Academic Center in Lake Nona, Florida. The department of pharmacodynamics is highly integrative and collaborative, spanning the gap between cellular and systems pharmacology and physiology. Faculty study drug action at the molecular, physiological and behavioral levels across normal and disease states, with interests in stress, anxiety, addiction, pain, neuroinflammation, cardiovascular and metabolic dysfunction. Department faculty use a wide variety of in vitro and in vivo techniques and approaches, including genomics, transcriptomics, proteomics, metabolomics, electrophysiology, behavioral pharmacology, microdialysis testing, optogenetics and genome editing to develop novel models and understand drug action across a range of conditions. Faculty in the department of pharmacotherapy and translational research are recognized as national leaders in many areas of research, including pharmacogenomics and personalized medicine and pharmacy practice. The overarching research focus of the department is on understanding genetic and non-genetic factors that contribute to variability in drug response. These are applied to therapeutic areas including cardiovascular disease, oncology, clinical pharmacology, infectious disease and pulmonary disease. Departmental faculty are highly successful in obtaining research funding from numerous sources, including the National Institutes of Health. The department is home to the Center for Pharmacogenomics and Precision Medicine, where researchers have led major breakthroughs in determining how genes influence responses to drugs. 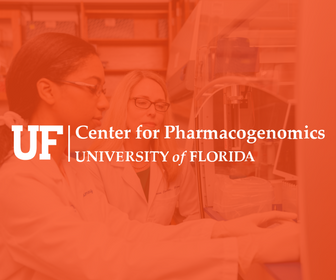 At the forefront of moving pharmacogenomics discoveries into patient care, the center collaborates with UF Health’s Precision Medicine Program to establish genotyping as part of clinical care to guide drug prescribing.